Installation of the BEAST detector carried out on November 18, 2017 at Tsukuba Experimental Hall on the Tsukuba campus of KEK. 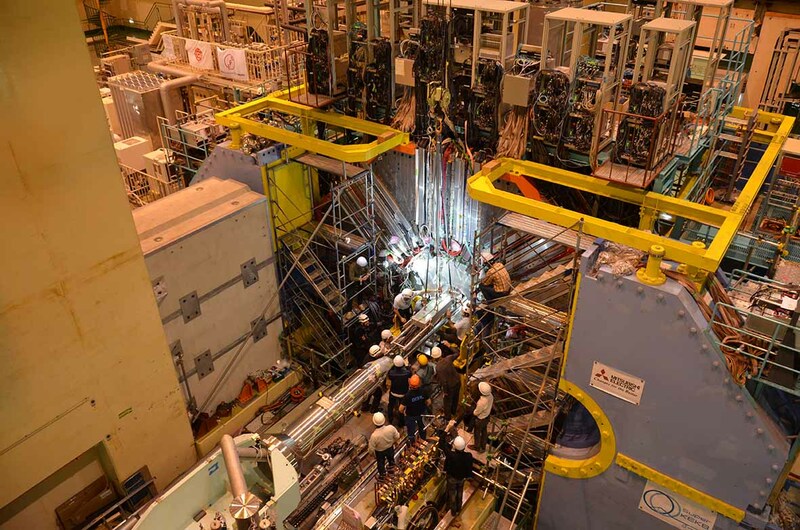 The BEAST detector successfully inserted into the core of Belle II at 2:45pm (GMT+9:00) and preparation for next-year’s commissioning of new Belle II at the upgraded SuperKEKB accelerator is in full swing. 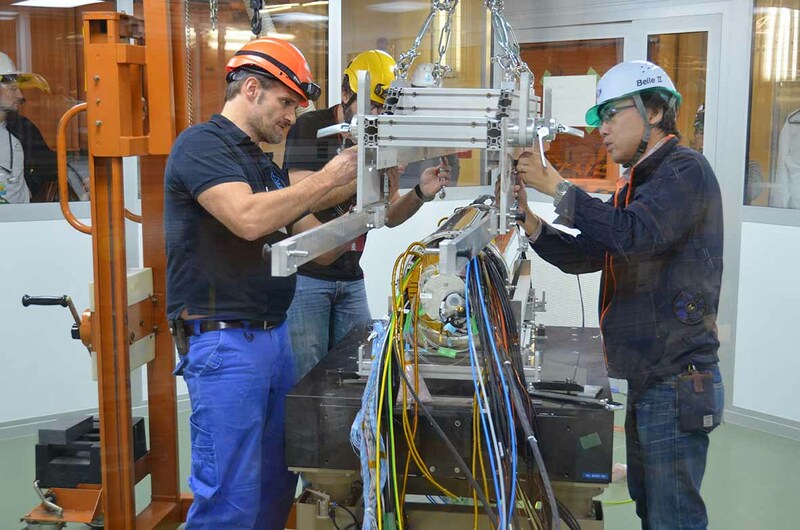 Early in the morning, about 20 physicists and engineers from the University of Bonn, DESY, University of Goettingen, HEPHY, IFCA-Santander, IFIC-Valencia, KEK and MPP began to prepare for installation of the BEAST detector at the clean room on the B4 floor of Tsukuba Experimental Hall. 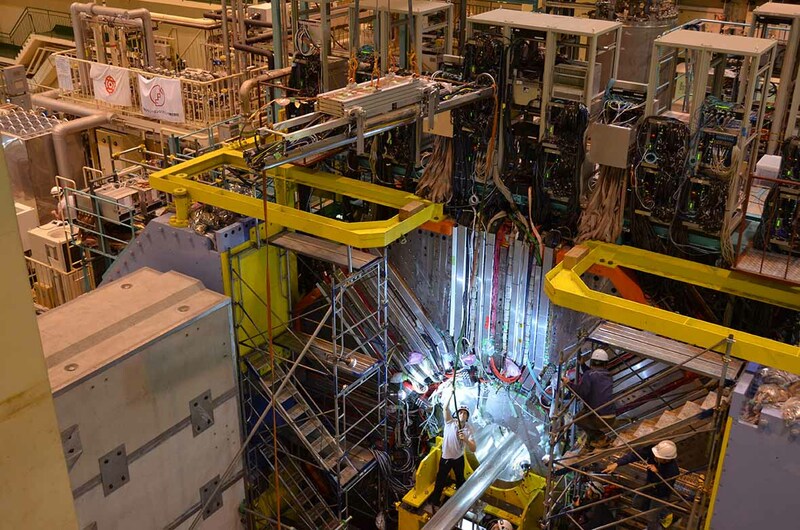 The BEAST detector with its various cooling lines and cables bundled together was placed in a transport jig and moved out of the clean room in a hand truck. 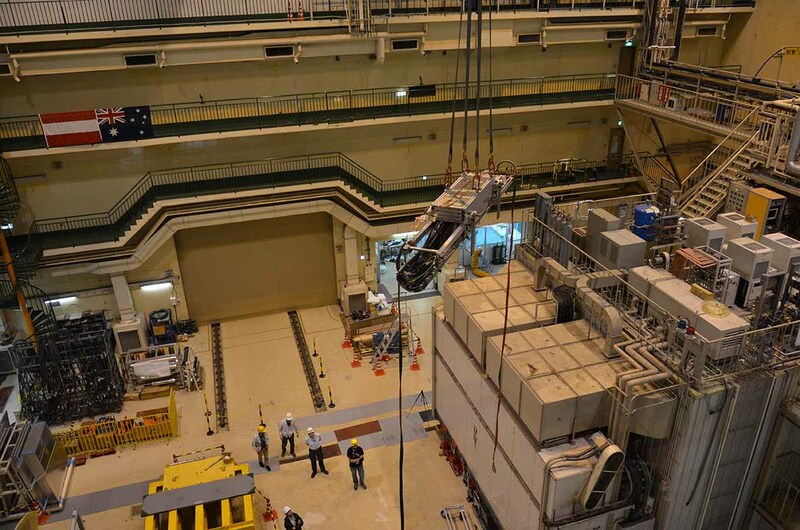 After taking a number of commemorative photos, the BEAST detector was lifted and then carried to the Belle II using an overhead crane. The BEAST was placed very carefully on a guide-rail and pushed gently into the heart of the Belle II. In a cylinder that is about 1 meter length with 30 cm in diameter, the BEAST detector contains a small sector of the two type of semiconductor sensors that compose the vertex detector of Belle II (PXD: Pixel Type Semiconductor Detector, and SVD: Silicon Vertex Detector) and dedicated radiation monitors. 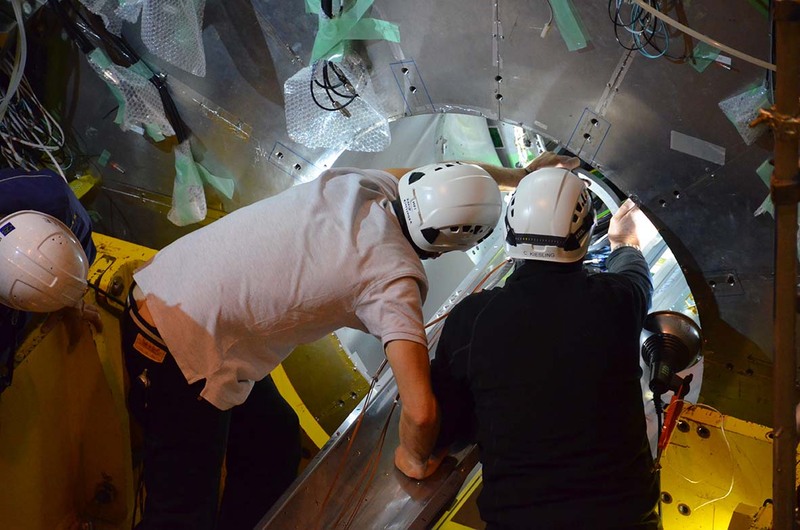 The goal of the BEAST detector in the next-year’s commissioning is to study machine induced backgrounds that could damage the vertex detector in the physics run. The BEAST detector was assembled at the clean room of Tsukuba Experimental Hall and the final test had been performed there.